One can find many ROI opportunities when looking at IoT to solve problems and bring value in an industrial context. Process improvement, asset tracking, and preventative maintenance are the three major pillars that drive ROI opportunities. The constant churning wheel of New Industrial IoT Platforms from vendors new and old can be staggering for those working to specify overall systems that address these opportunties. Whether it be Bosch or Cisco, GE or Hitachi, Honeywell or Rockwell Automation, the various offerings stagger in their feature sets, and force the customer to speak different languages. This is unfair to the to the specifier, as the definitions, structures, and points of views all vary greatly. In working with clients in the industrial space, we were requested to speak a common language and now we have one! 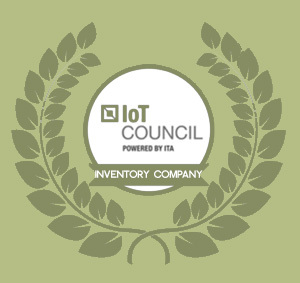 The Industrial Internet Consortium last month published a new revision to their Industrial IoT Reference Architecture document (the IIRA). I found this document to be a breath of fresh air – just like Colin I’Anson from HP Enterprise and his reflection on the document relate in the below video. IoT is a wide subject. Every architecture is different from one to the next, but this document is a must read, and in my opinion a great way to define your system- and require your various vendors to frame their offerings. So what is the IIRA? An architecture set at the highest level, the IIRA offers models, definitions and a well-defined set of vocabulary. The document presents a core set of standards and a common ground for IoT participants to frame development, documentation, communication and deployment. I am stoked that this tool will advance interoperability and help guide standard development. Where there are standards, we can all thrive. Now.. for the first big challenge… the war between IT and control engineering. Two already warring camps – those that manage sprawling enterprise-level IT architectures and services, and those that run real-world-connected industrial control systems, have long ago marked out their territories. Over the past two decades, the shop floor has only begrudgingly sent data into the back office, and Enterprise IT will scrutinize any request from a device that wants to connect to the outside world (support, for example). When plant managers with their need for always-up industrial manufacturing and monitoring systems come up against Enterprise IT management teams that are under a mandate for system and data consolidation, sparks fly, and things get rough. I’ve seen and heard the name calling – and if you are reading this – surely you have too. The phrase “Industrial Internet of Things” alone demands this gap be bridged and that these two parties calm themselves, and at the same time promises a better future for all. Riding on continued advancement of computation and communication technologies, the industrial internet can dramatically transform industrial control systems in two major themes: Increasing local collaborative autonomy: New sensing and detection technologies provide more and more accurate data. Greater embedded computational power enables more advanced analytics of these data and better models of the state of a physical system and the environment in which it operates. The result of this combination transforms control systems from merely automatic to autonomous, allowing them to react appropriately even when the system’s designers did not anticipate the current system state. Ubiquitous connectivity between peer systems enables a level of fusion and collaboration that was previously impractical. Increasing system optimization through global orchestration: Collecting sensor data from across the control systems and applying analytics, including models developed through machine learning, to these data, we can gain insight to a business’s operations. With these insights, we can improve decision-making and optimize the system operations globally through automatic and autonomous orchestration. These two camps get equal consideration in their roles in IIoT architecture through the IIRA. The beginning of the IIRA document starts out with VIEWPOINTS. The viewpoint is crucial to the IIRA design. The IIRA design starts with defining the shapes and forms of an Industrial Internet of Things Architecture by starting with the viewpoints of the stakeholders. Using the IIRA as a guide to develop a single case specific architecture document, viewpoints are tied to the entire lifecycle process of the IIoT architecture to be developed. I find this starting point and allowance gracious, wise, and solution focused. Note the importance of the control domain in the below borrowed figure 6-5 – Control is highly valued, and made to respond to not only physical sensing, but also operational and application data (ie. a fully defined system). As the 58 page document progresses, it defines systems and architectures into tiers, domains, networks and data flow. I urge you to download the document and read it through- for the definitions at least! Hallsten Innovations develops the devices that will make up the Internet of Things at large. Industrial IoT is a significant growth driver segment of IoT… especially in process improvement, asset tracking, and preventative maintenance.